June 16, 2018 1:41 pm. My Blue Jeans has held of a late burst by Gronky to win a Highway Handicap at Rosehill. My Blue Jeans seeks to graduate from Highway Handicap class in a fortnight after recording back-to-back wins for Goulburn trainer Danny Williams. 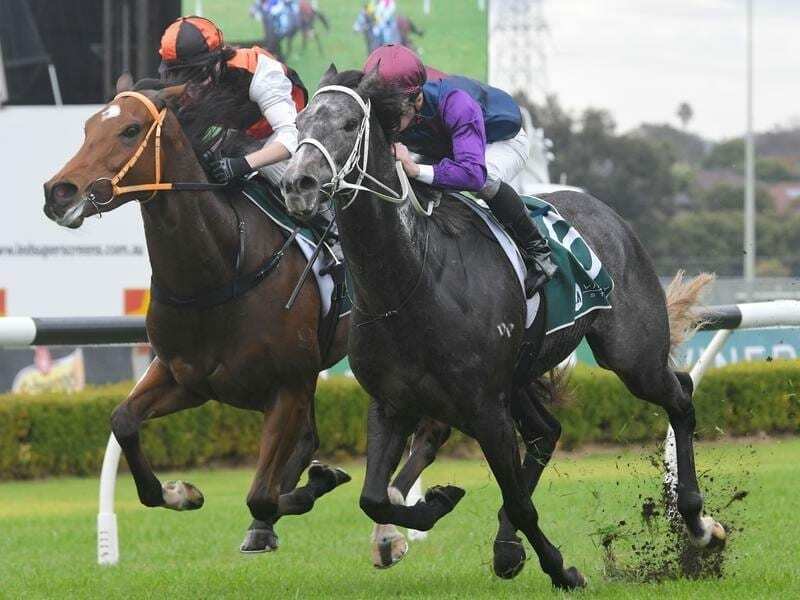 The three-year-old gelding ticked off his maiden midweek at Canterbury in his previous start and the $10,000 purchase then made a convincing debut at Rosehill by finishing the 1500m trip strongly to hold a late burst by Gronky. My Blue Jeans ($10) scored by half a neck while Gronky ($26) crossed a short neck clear of Dia De Reyes ($5). Williams says My Blue Jeans will target a Highway Handicap at Rosehill on June 30. “He’ll come back in trip and that’ll be ideal,” Williams said on Saturday. He owns 75 per cent of the horse and was rapt for Laurie Donnelly and Bob Conkey, who share the remainder. “Bob cried when he won at Canterbury and I’m sure he’ll be crying again today,” Williams said. “I wasn’t sure whether he’d handle the heavy (track) the other day, which he did, and I wasn’t sure he’d handle the 1500 today, which he did. Jockey Kerrin McEvoy, who rode My Blue Jeans for the first time, also thought the gelding impressed eventually. “I was a bit worried he was taking me on throughout the race and that might blunt his finish but he’s done a good job to rally off the canvas,” he said.